Thermal spray is a process that involves the use of a spray torch to heat powder or wire to molten or semi-molten state and with the use of an atomizing gas, propel the material to a substrate to form a coating. Major advantages of thermal spraying includes minimizing heat exposure of the substrate material during the coating process. This enables the process to be suitable for a wide range of applications. Aeromac Thermal provides a wide range of thermal spray systems to suit any requirements in various industries such aerospace, marine, petrochemical, manufacturing, R&D, etc. We also provide a range of thermal spray powders & wires and thermal spray spares/replacement parts to complete your thermal spray solution. 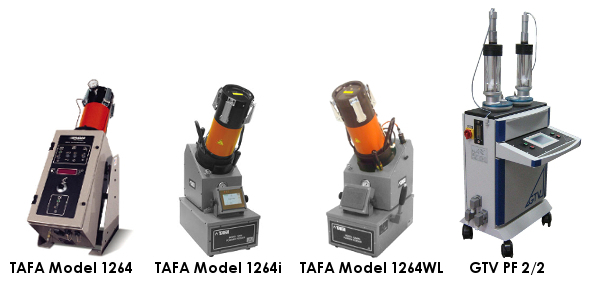 We supply a range of Praxair TAFA, USA plasma torches that are are easy to operate and simple to integrate with any thermal spray systems. 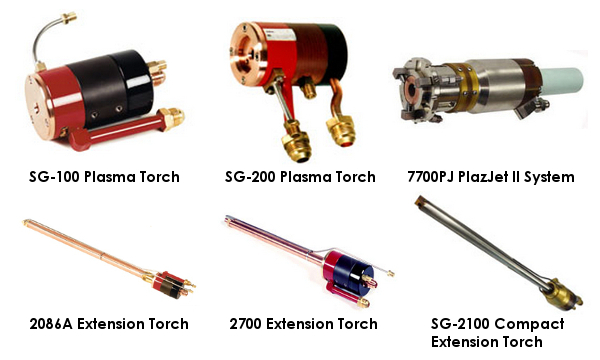 The plasma torches operate at power levels ranging from 20 kW to 220 kW and can be used for nearly any ID or OD application. 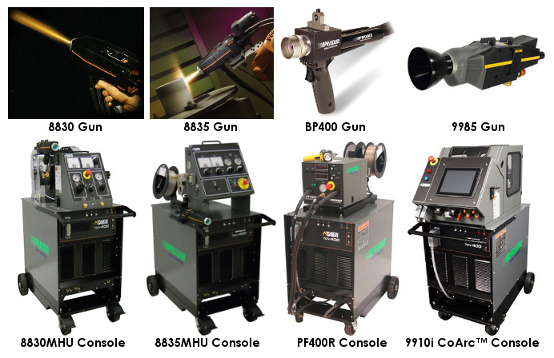 Praxair TAFA is a world leader in in the development and application of plasma spray systems that reflect decades of equipment and coating expertise. We supply a range of Praxair TAFA, USA plasma control units that extends from manual to closed-loop PLC controlled. 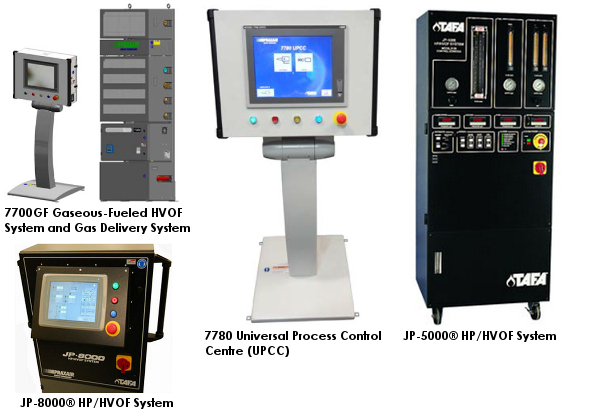 Several models are available with either critical orifice gas flow controls or mass-flow gas controllers. Praxair TAFA, USA HVOF systems are designed to generate extremely high particle velocity to produce ultra-dense coatings at exceptional spray rates to help you achieve the highest-performing coatings possible. Praxair TAFA is the world's leader in in the development and application of High Velocity Oxygen-Fuel (HVOF) spraying systems that reflect decades of equipment and coating expertise. Praxair TAFA, USA HVOF systems are designed to generate extremely high particle velocity to produce ultra-dense coatings at exceptional rates. Both liquid-fueled high-pressure and gaseous-fueled equipment are available to help you achieve the highest-performing coatings possible. Praxair TAFA is a world leader in in the development and application of High Velocity Oxygen-Fuel (HVOF) spraying systems that reflect decades of equipment and coating expertise. Aeromac Thermal provides a complete range of Praxair TAFA, USA arc spray systems, each using tailored technologies for various coating solutions. These can also be implemented in a variety of configurations that will support the most demanding applications. Praxair TAFA is the world's leader in in the development and application of arc spraying systems that reflect decades of equipment and coating expertise. Aeromac Thermal provides a range of reliable powder feeders from open-loop RPM-controlled units to more sophisticated closed-loop weight-loss controlled powder feeders. 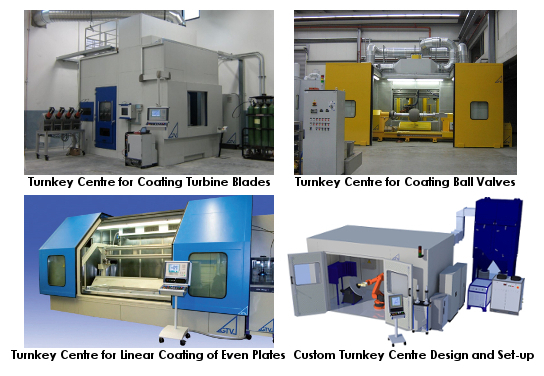 Aeromac Thermal offers Turnkey Multi-Process Installations involving Plasma, HVOF, Arc and Flame spray processes. Special customer solutions developed by GTV offers an optimum quality, reliable and economic turnkey installation with integrated robot and table manipulation. Aeromac Thermal offers the GTV Near Infra-red (NIR) Sensor which is a precise online particle diagnostic system for thermal spray processes. 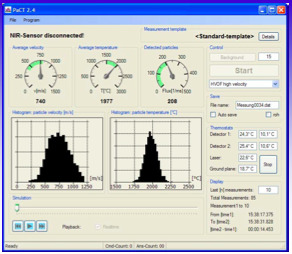 The continuous development of new and existing thermal spray techniques will demand innovations in the field of online process diagnostics. 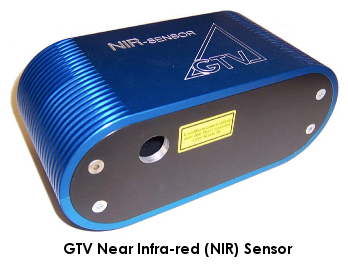 GTV's NIR Sensor meets this demand by the combination of two methods for thermal detection. 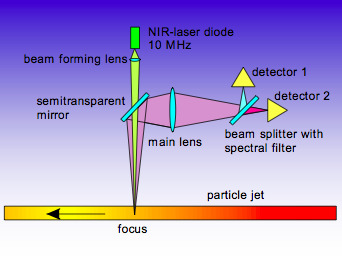 These consist of a passive method which uses an ultra-fast time resolving two beam pyrometer, and an active method with the illumination of passing particles. These allow for the measurement of real velocity and temperatures of single spray particles. Aeromac Thermal provides a a line of high performance masking solutions from Green Belting Industries, Canada specifically designed to meet the needs of the thermal spray industry. 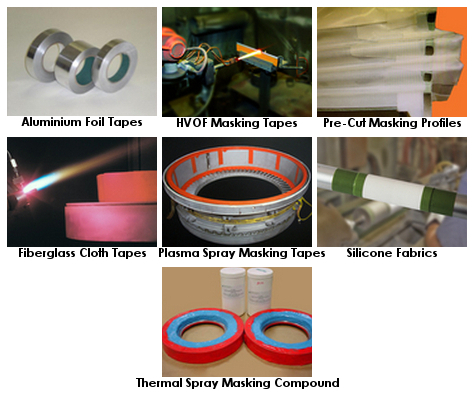 These Thermal Spray Masking Tapes, Fabrics and Compounds are designed to resist grit blast, wire arc spray, flame spray, plasma spray and HVOF spray coatings. The tapes are available in various widths and standard roll lengths are in 18 or 36 yards. Custom die cut profiles can also be manufactured to save time during masking. Green Belting Industries is a leading manufacturer of thermal spray masking solutions used in a wide range of manufacturing, packaging, maintenance and repair environments around the world. From the aviation industry to consumer products, they supply performance materials and technical expertise to 21 different industries for use in over 100 applications. With 47 years of proven experience, there is worldwide recognition of high quality standards and technical support.